A fall festival is a great opportunity for people to get together to celebrate the changing of the seasons, while also taking part in games and enjoying tasty treats and supporting your fundraiser! Whether your festival is for families within a neighborhood, a local school or college, or a neighborhood church, it is a fun way to get people together. The key to planning a successful fall festival is to embrace the prep time and be willing to think outside the box! Organizing a fall festival is a big undertaking. In order to create a successful event early planning and organization are vital! Know your objectives! When planning try to keep in mind the size you want your event to be and what age range you are planning it for. Are you planning a kid friendly fundraiser, or a fun event that the entire family can enjoy for free? Do you want people to wear costumes to your festival? What size space will you need to hold the event successfully? By asking all of these questions, you can really design a fall festival that will work best for your target audience and yield the best return for your fundraiser. To begin, it’s important to create a budget and stick to it. As you plan your event, involve your leaders and volunteers in the brainstorming and decision-making process. By asking the leaders for ideas, feedback, and suggestions from the start, you’re encouraging them to offer their input throughout the rest of the event. Then, once you have decided who those leaders are create VIP/Volunteer/Crew/Parent or other custom badges for each of your team members – this way it will be easily to spot those important people on your team in a snap! This will be especially important once the festival is buzzing with business. Next, you will need to decide how to charge for festival games and treats. Roll tickets are the perfect solution to redeem for playing a game. If you decide there will be an all-inclusive price you could use customizable event tickets that include a stub to tear off. Make sure to spread out the festivities – you don’t want ticket sales jammed up with insanely long food lines, so make sure you have the support you will need depending on the size of the event. Make sure that you are utilizing each volunteer, and once the event starts if a particular activities becomes super busy, move team members to that area for back up support. Third, choose a fun theme – the possibilities are endless when it comes to fall. 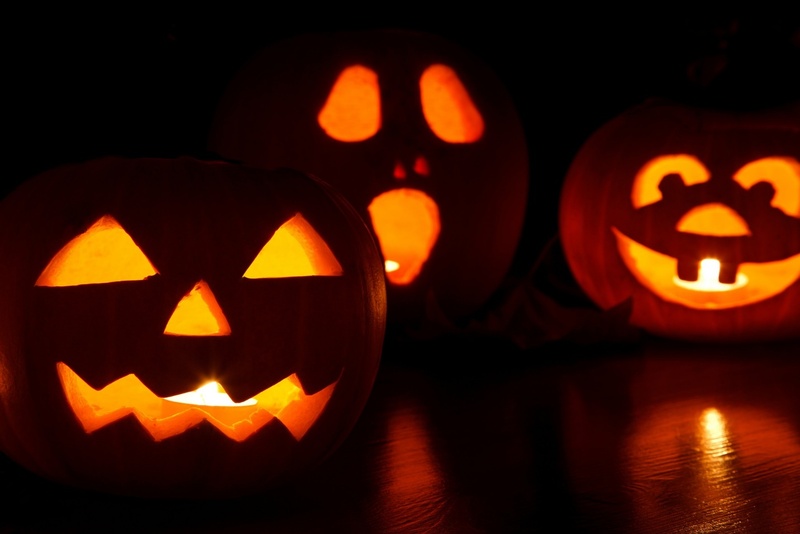 Pumpkins, ghosts, bats, ghouls, scarecrows – oh boy! Make sure your location is large enough to accommodate your plans so you can spread out activities as much as possible. It can be as simple or elaborate as you want it to be but make sure it’s fun for the kiddos. Decide if you want to include games, hayrides or other activities. Once you know your theme you can get your decorations, games and posters ordered. This is the fun part! Puppet shows and face painting are budget friendly options that all kids enjoy – and of course, don’t forget to designate a part of the parking lot for trunk or treat. Of course, always be sure to have a plan b – begin planning well in advance and give your committee plenty of time to organize, brainstorm and prepare. After all, the purpose of your fall festival is not only to give your community an event they will look forward to – you want your festival to be a fundraising success for the charity that you are raising funds for too!